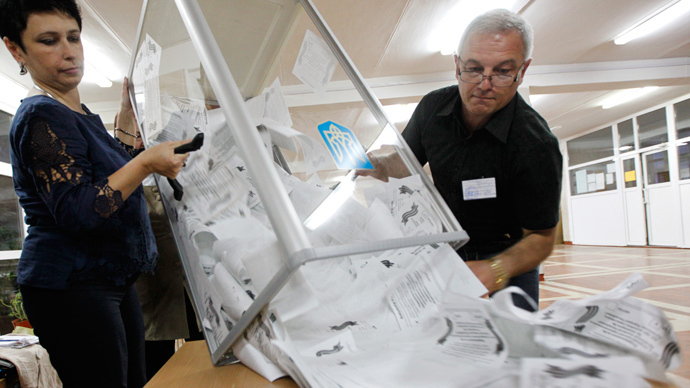 JNN 13 May 2014 Donetsk : The results of referendums have been announced in Donetsk and Lugansk Regions, showing the majority of voters support self-rule, amid an intensified military operation by Kiev which resulted in several deaths. “We will try to cope with it on our own; we don’t want this confrontation to increase, especially on our territory,” Denis Pushilin, co-chairman of the Donetsk People’s Republic, said. “If the situation deteriorates, we reserve the right to ask for a peacekeeping contingent,” he added. This entry was posted in Europe and tagged Donetsk, Donetsk Region, eastern Ukraine, Lugansk, Moscow, referendum on independence, Ukraine. Bookmark the permalink.